As is typical for Anderson, the scene composition is perfectly eccentric and a treat in and of itself. The narrative is an engaging and fun journey and the characters are all likable and realistic in Anderson's trademark oddball way. The ending resolved everything way too neatly, but the film is still excellent and a welcome improvement over the Fantastic Mr. Fox. I’m not a big Wes Anderson guy, but this was surprisingly good. A lot of funny moments sprinkled on a great premise. It does lose some steam in the final part, but a fun watch. It likely helped that I love dogs. This was weird. In a good way. Although, in the end, the story turned out to be a lot more traditional that the visuals promised. Isle of Dogs. A lot. I have five. 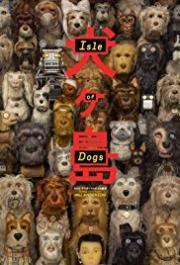 And because Isle of Dogs, this movie hit me with moments of both joy and sadness that may be missed by non dog owner viewers as I recognized so much of the psychology and characteristics of the wonderful cast of dogs in my own critters. There is however one major choice made by a dog that was a human choice rather than a canine one which did bother me. That said, I love dogs is an exceptionally animated and typically whimsical WA movie worthy of a puppy snap! Wes Anderson is still at the top of his game. Great stopmotion, quirky script, quality voice acting. This is the first Wes Anderson movie I ever liked. If you can't stand him, you might like this. A fun adventure. Very Wes Anderson. Did you hear the rumor? Wes Anderson only made the left half of this movie and the rest is a slightly edited mirrored copy. This movie was wonderful and worth every second I watched it.